Welcome to Indie Film Spotlight! In which I act as your guide through the mess of mediocre indie movies out there and bring to you a select few that are not only worth watching but are actually worthy of love and recommendation. But first, a quick primer: an indie film, or independent film, is one that is produced outside of a major film studio and usually distributed by the same. Indie films are also generally recognizable by the filmmaker's personal artistic vision and are lower budget than their media conglomerate cousins. Hence the reason many of them are quite bad. That being said, enjoy this spotlight on an incredible one! Jesse is a 30-something college admissions officer in New York. When he gets a call to go to a former professor's retirement party at his alma mater in Ohio, he goes happily, falling back in love with the idea of college as well as a spunky college student, eventually wondering if the ideals in his head live up to reality. 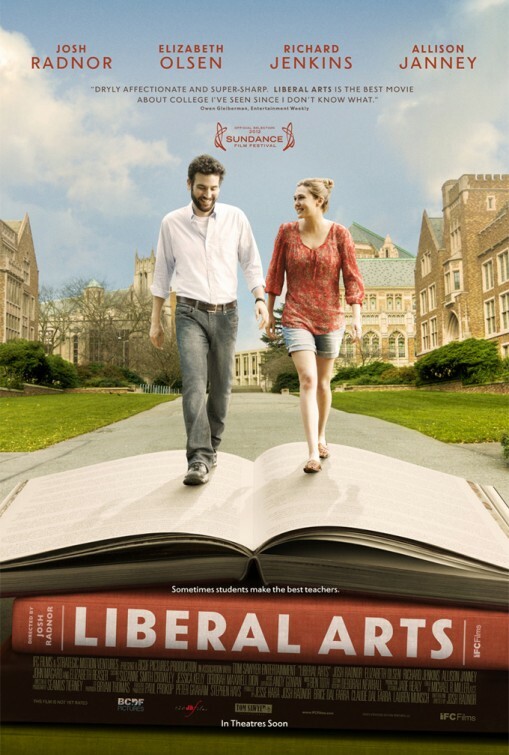 Liberal Arts is Josh Radnor's (of How I Met Your Mother fame) second foray into filmmaking. It's a touching story about life, love, and liberal arts. It's a must-see for any liberal arts graduate (especially English or writing majors) with its discussions of Twilight, the Romantic poets, and everything in between. Elizabeth Olsen (Avengers: Age of Ultron) stars opposite of Josh Radnor, and Zac Efron plays an adorkable free spirit with no boundaries. Nobody feels like an adult. It's the world's dirty secret. Have you seen Liberal Arts? What did you think?